During WWI, the harshest of German prison camps was Holzminden under the cruel command of a hate-filled commandant. 100 years ago, a group of Allied prisoners desperate to break out of “Hellminden” planned an elaborate escape that lives on in today’s escape and evasion services. 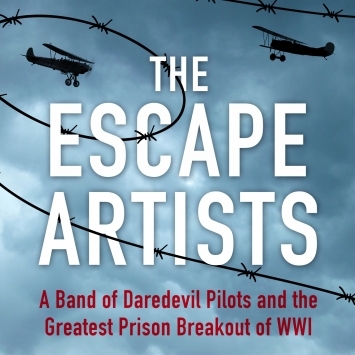 Join award-winning author Neal Bascomb, for the launch of his new book: The Escape Artists: A Band of Daredevil Pilots and the Greatest Prison Break of the Great War. He’ll brief you on their plan which included disguises, forged documents, fake walls, and a 150 mile dash through enemy-occupied territory towards free Holland. Bascomb will also detail how these remarkable escapees used the lessons they learned from the “Escape University” of Holzminden to shape MI-9, the British spy organization that launched escape and evasion services throughout Europe during WWII.